It’s day 13 of my 22-day vegan challenge! If you want to find out more about Marco Borges’ 22-Day Revolution, and begin with day zero, click here! Make sure you always read ahead on the plan, because sometimes you have to make some things the day before! Today’s breakfast was overnight oats – oats soaked in almond milk overnight, topped with flaxseed and fruit. With a banana on top, this was 325 calories. Lunch was quinoa tabbouleh, and I made a half portion of this, as I think 85g of uncooked quinoa makes a pretty decent portion. 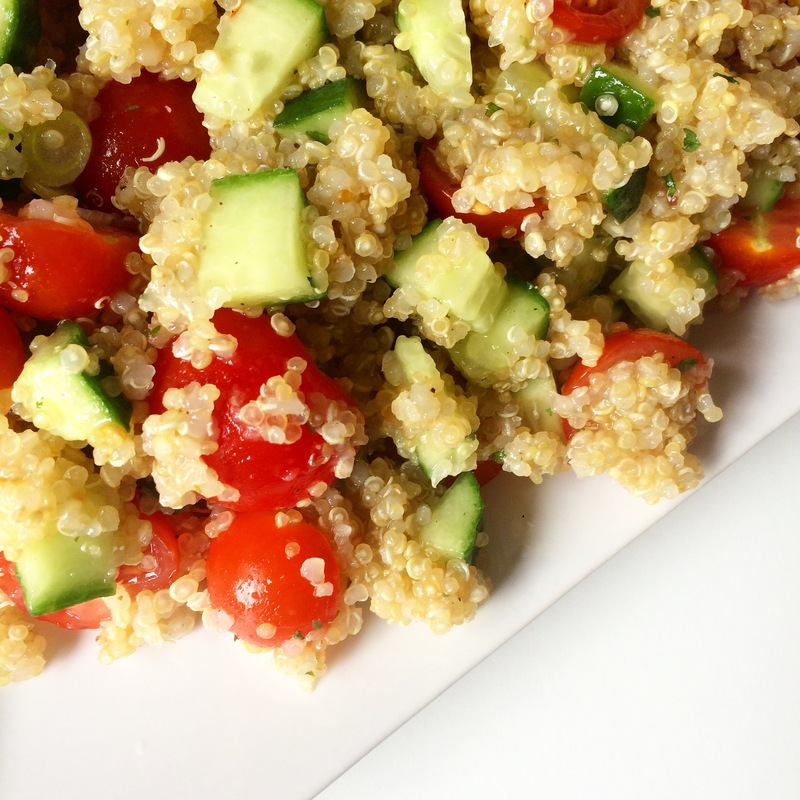 You cook the quinoa and mix it with lemon juice, garlic, cucumber, tomato, parsley and spring onions. This was 389 calories. 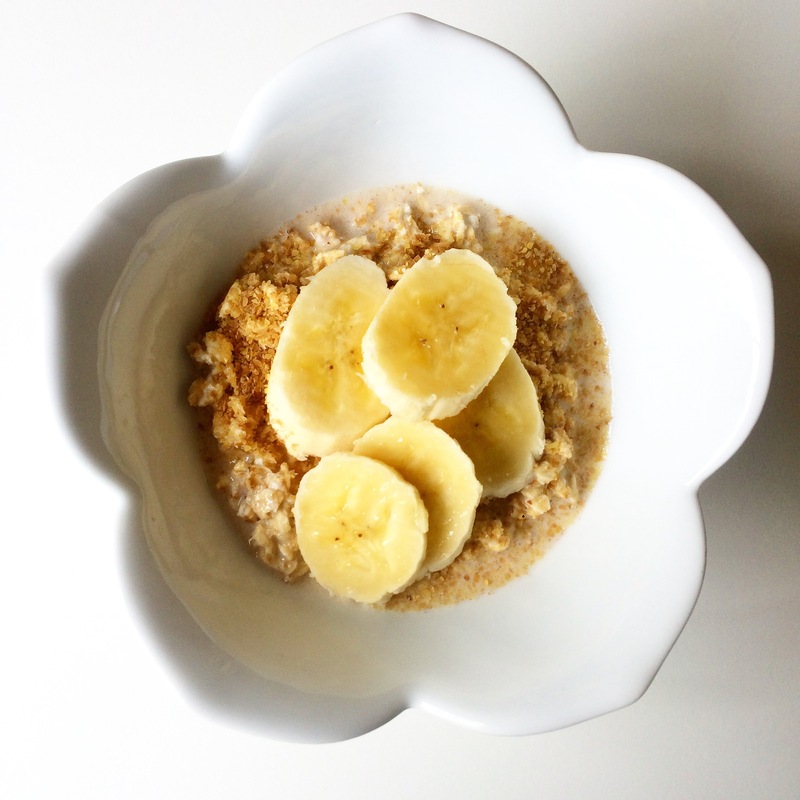 Love it – this is a really simple lunch that you could make ahead for work. 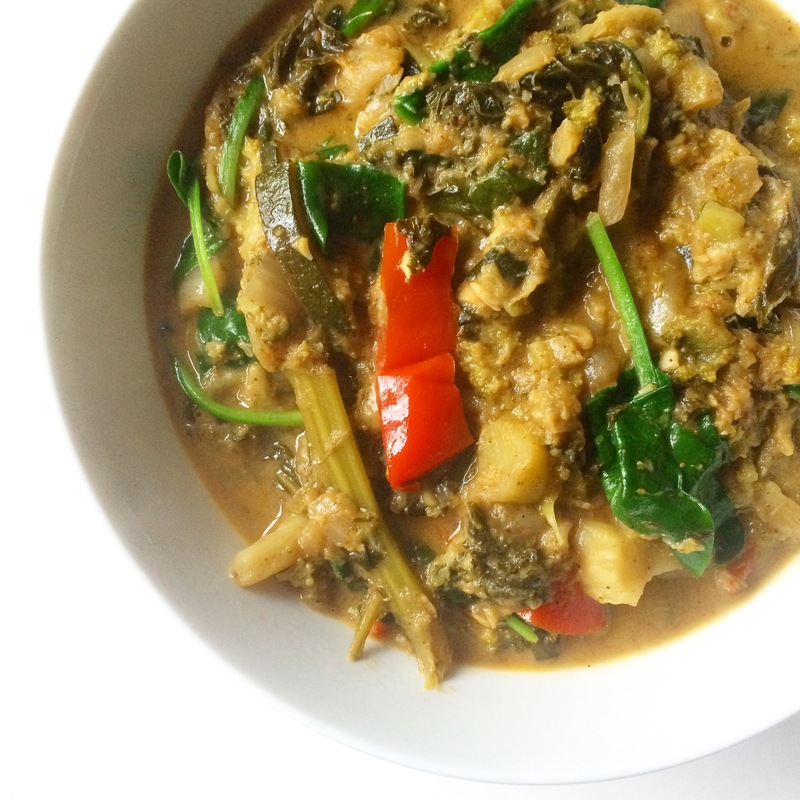 For dinner, it was vegetable curry again – I had frozen the extra portions from last time. The whole batch makes two big portions for about 512 calories. I also chucked in some spinach at the last minute to add a bit of bright green colour. Along with some rice milk and some gluten-free crackers, the day was 1392 calories. Today, there was no weight loss. Shouldn’t be snacking so much! Hi, I love the crispness of your blog and read it often – first time commenting, though ! I am interested to see if this diet will keep your weight off in the long term. The calories seem quite low, and with the amounts of weight I lift I am not sure whether I would be able to continue eating such small portions of food and continue to perform cardio at my usual levels. So, I was wondering whether you have seen a dip in your cardio performance? Do you plan to try to continue this diet in the longer term? Thanks Catona! I’m glad you like it! I don’t have any plans to stick to the diet beyond 22 days, but it has completely changed the way I think about food and how much I need to eat. I’d never have dreamt of just eating a salad of avocados and tomatoes for dinner before, but now I’m going to try to branch out and think outside the box (i.e. protein, starchy carb, veggies) a few nights a week. There are definitely recipes I’ll incorporate into my rotations (like the aubergine with pico de gallo and the walnut tacos! ), and I like quite a few of the juices too!